Our work can be found on high-rise residential buildings, banks, hospitals, hotels, retail stores, office buildings and shopping centers throughout the county. Cladding technology is constantly changing with the development of new materials and systems. Façade+Envelope is here to make sure you make fast and reasonable decisions as we evaluate the pros and cons of the building options available. Our experience with hundreds of projects gives us the opportunity to develop cladding designs that will remain in place for the life of the building. Our staff will meet with the Developer and the Architect in order to understand the project’s design intent and available budgets. We will review and assess the project’s building envelope requirements and assist in the selection of building envelope components. Finally, we review and critique project schematic drawings and specifications. Upon completion of the schematic design phase, we will review the project architectural and structural drawings and provide recommendations relating to the building envelope systems and components. We provide comments on transition details, adequate surfaces to receive waterproofing materials, protection of all applicable building envelope areas, Building Code compliance, etc. For new and custom made glazing systems that do not have valid Product Approvals we can prepare testing protocols that meet or exceed the stringent requirements of the Florida Building Code’s High Velocity Hurricane Zone (HVHZ). Typical testing includes resistance to air and water infiltration, windloads, and impact requirements. In order to maintain continuity between the project documents and the submittals generated by subcontractors in the different building envelope trades, our staff will review shop drawings and submittals for completeness and for compliance with Construction Documents and Local Building Codes. Our extensive experience preparing calculation packages for glazing systems gives us the prowess to thoroughly review glazing calculation packages prepared by others. We can review not only the calculations for the glazing systems (including windows, doors, canopies and railings) but also for the specialty steel and aluminum structures supporting these glazing systems when required. This phase of our services is designed to assure that the components selected and designed in the consulting phases are installed properly. 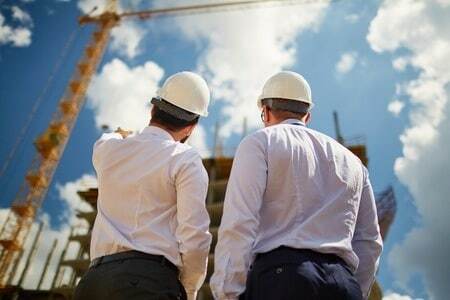 We will attend pre-inspection meetings then visit the job periodically in order to monitor the installation of the building envelope components for compliance with approved documents. We will document and report any noted deficiencies in the installation to all applicable parties and then re-inspect the deficient components once the sub-contractors have corrected them. We also provide state of the art equipment and manpower to conduct field testing such as flood testing of horizontal waterproofed areas per ASTM D5957 or water infiltration testing of glazing systems per ASTM E-1105 or AAMA 501.2 as applicable based on the systems selected. This type of testing allows us to verify that the installed systems are performing as prescribed and to find any issues that may lead to future problems. Following industry standards and sound engineering practices, and relying on many years of experience with material selection, installation monitoring and performance testing, for existing buildings we can help identify the sources of failures, whether they are from moisture intrusion or structural related. In order to pinpoint the exact source of a problem we will conduct a thorough investigation, which includes reviewing available documents, interviews with key personnel, site inspections and field-testing. We will prepare detailed reports with our findings and our recommendations for how to repair or replace the failing components. Compliance with Local Building Codes is present in all the services we provide. We understand the Code’s goals of preserving life safety and protection of property. 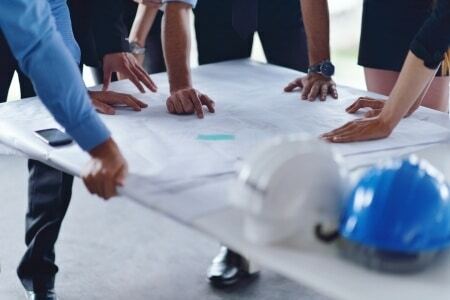 When reviewing the architect’s project documents and the sub-contractor’s submittals we take into consideration the requirements of the Building Codes and include these in our review comments as required. Success is achieved through the open communication between engineer and client. Façade+Envelope’s engineering services include the assessment of projects for compliance with building codes, construction standards and general inspections to ensure acceptable building conditions. We also provide design specifications and inspection of building envelope components, and design of exterior building envelope systems like roofing, waterproofing, windows, wall cladding, and more. This standard allows us to determine the applicable design wind pressure at any opening for any building. With this information the best building envelope system can be selected in order to meet these project wind loads. Our clients can make early decisions that directly impact the cost of a project. We can design specialty supporting structures for glazing systems in aluminum or structural steel. We follow the guidelines of the AA Aluminum Design Manual and AISC Specification for Structural Steel Buildings. Structures and their connections are designed for both vertical glazing systems in double height areas such as lobbies, as well as for canopies (sloped glazing). Since it is economically unrealistic to test every single size of glazing system when applying for a Product Approval (NOA), we can prepare comparative analysis calculations to qualify varying dimensions based on tested dimensions and pressures. These calculations can be used to populate NOA tables as well as to qualify project specific conditions. In order to apply for a Product Approval various documents are required. These include test proposals, test reports, supporting calculations, engineering letters and system shop drawings. Our office can help in the preparation of test proposals, review of test reports, and preparation of calculations, letters and shop drawings based on the manufacturer’s mockup drawings. As described in GANA’s Glazing Manual, glass is a brittle, elastic material up to the point of fracture. ASTM E1300 standard allows us to calculate the load resistance of glass in buildings depending on the thickness, tempering and interlayer used. For glass not covered by ASTM E1300 including point supported glass, glass fins, larger lites of glass and thicker lites of glass we use FEA software to determine the strength of the proposed glass prior to testing. Many options are available to repair failing existing buildings or to bring them to current standards. We can help evaluate the makeup of your existing building and assess the performance of the as built components. As required we can engineer repair or replacement components that meet budgets and aesthetic requirements while breathing new life into the building. The way to assess that a product has met its performance requirements is through testing. Facade+Envelope uses state of the art testing equipment to conduct field water and air infiltration testing as well as structural load testing. These tests allow us to find performance issues which may not be easily identified through visual inspection only. As the Building Energy Codes become more stringent, complying with limitations of air leakage requirements is ever more important. This is the Standard Test Method for Field Measurement of Air Leakage Through Installed Exterior Windows and Doors. In general compliance with standards ASTM E1105, AAMA 501.2, AAMA 502 or AAMA 503: Finding a water infiltration related deficiency early on in the project will greatly reduce the costs to correct it versus discovering the problem after most units and surrounding finishes are installed. For existing buildings these test methods help pinpoint the exact source of water infiltration and permit the implementation of adequate repairs in lieu of applying costly trial and error repairs. The prescribed repairs can also be validated through field-testing before they are implemented on the entire project. Per modified ASTM E330 and TAS 202-94 standards. The Florida Building Code (FBC) requires that all structurally glazed systems on threshold buildings be re-certified at periodic intervals. As part of the recertification process we typically recommend including on-site load testing of the structural silicone glazed windows following modified versions of the referenced laboratory standards. This allows us to document continued performance of the structurally glazed systems. This test procedure is recommended by waterproofing product manufacturers. Through it we can verify that the low-sloped waterproofing products are performing as intended by not letting any water infiltrate to the areas below.